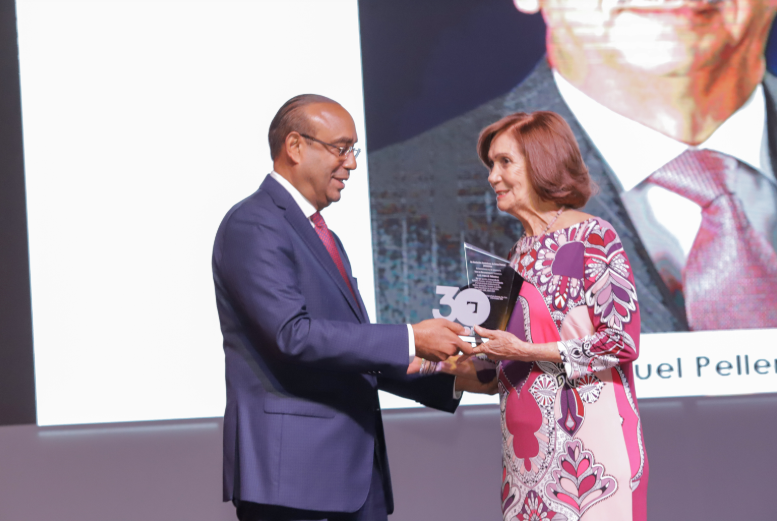 The Dominican Association of Free Zones (ADOZONA) celebrated its traditional annual lunch in commemoration of its 30th anniversary on October 24th at the Anacaona Hall of the Hotel Jaragua. The event was attended by the President of the Dominican Republic Danilo Medina and the main representatives of the Free Zones in the country. The central idea of this event was to follow the path of the Free Zones, their development and importance over the last 30 years in the DR.
Adozona presented a posthumous recognition to the Engineer Luis Manuel Pellerano founder of Las Americas Free Zone for his contributions to the development of the Free Zones in the country, as well as for the growth and institutional strengthening of the Association, as a founding member and as the President in the periods 1997-1999, 2005-2007.